Your day never just goes from 9 to 5. You work hard and play harder. Get a pair of shoes that can comfortably and stylishly keep up with your hectic schedule. The Marion Coreen Clog from Clarks features a soft, full-grain leather, molded Ortholite® footbed and padded Cushion Soft™ foam layers so you can treat your feet every day of the week. Goldilox brand. 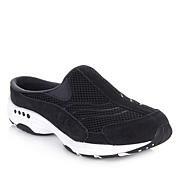 The instep is where it should be the width comfortable and the collar is soft and padded and there is some slight goring on the medial side. No rubbing on this shoe or struggling to keep it on your foot. Easy to walk in socks and all. 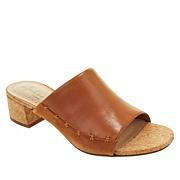 Love the leather and simple design, makes it an every day shoe. 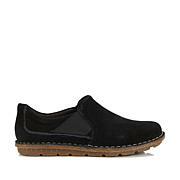 I've heard over the years how comfortable Clarks' shoes are. These are the so comfortable on the feet I can't believe I have waited so long. A bonus is that the shape of the clog doesn't make my feet look big. The style of this shoe is lovely, and the comfort is legend. I bought the shoes in black, and brown. Wear with or without socks. Comfortable right out of the box. 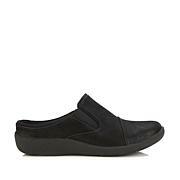 Love Clarks shoes, beauty, style, and comfort, at a very good value. I purchased 8 1/2 wide and they fit perfectly. Love this show, I wish I had gotten another pair while they were at the special pricing. The sole makes walking much easier on my feet.